Quotations about America Land. Quotes to stimulate mind and drive action! Use the words and quote images to feed your brain inspiring things daily! God bless America, land that I love. 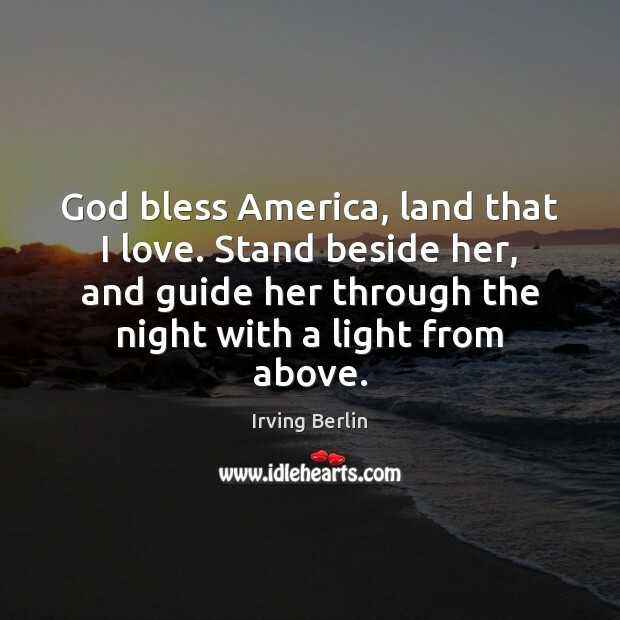 Stand beside her, and guide her through the night with a light from above. 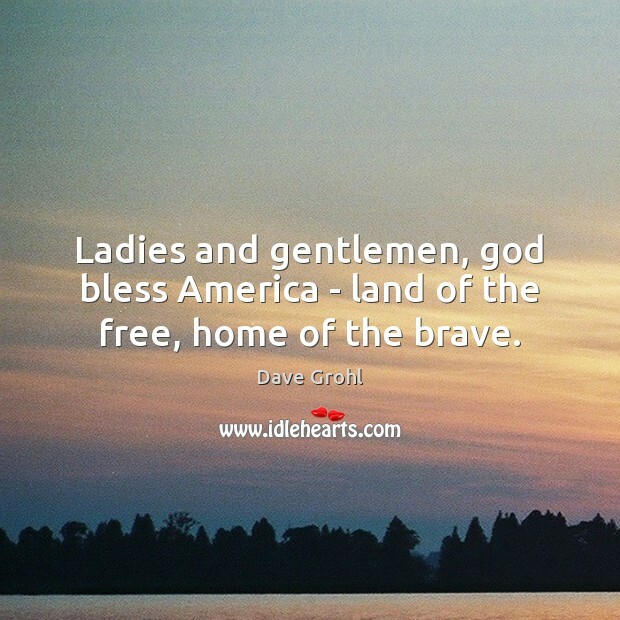 Ladies and gentlemen, god bless America - land of the free, home of the brave. 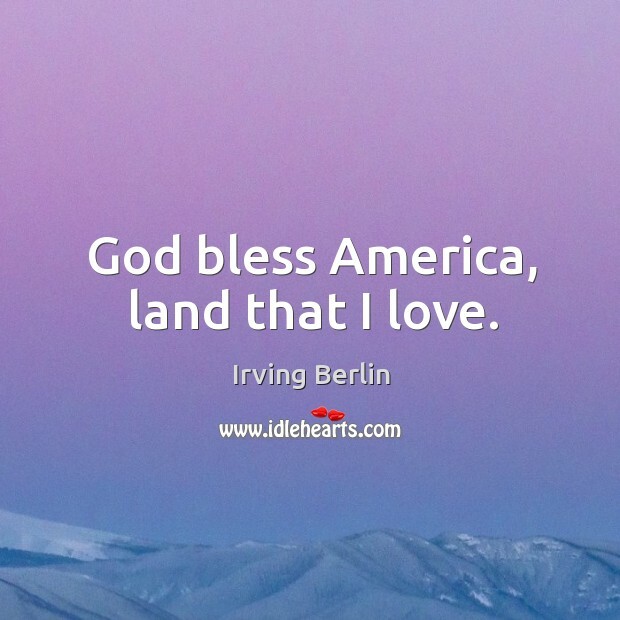 God bless America, land that I love, Stand beside her, and guide her, Through the night, with the light from above, From the mountains, to the prairies To the oceans, white with foam God bless America, my home sweet home, God bless America! My Home Sweet Home! 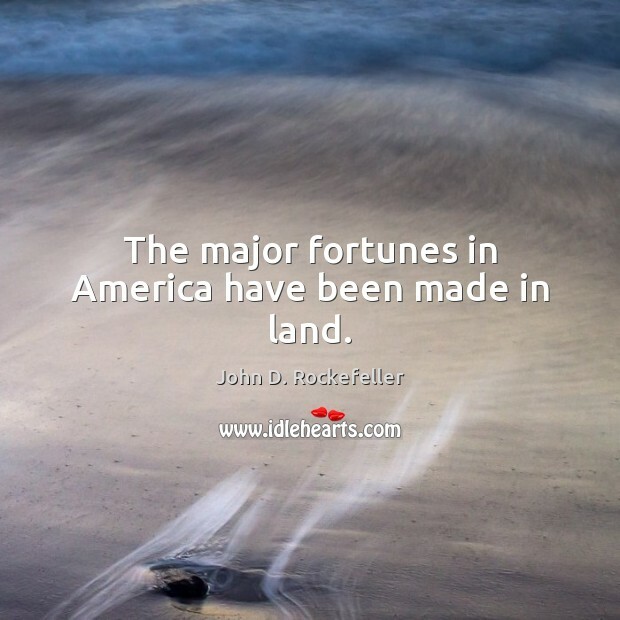 The major fortunes in America have been made in land. Thank God for 9/11. Thank God that, five years ago, the wrath of God was poured out upon this evil nation. America, land of the sodomite damned. We thank thee, Lord God Almighty, for answering the prayers of those that are under the altar. 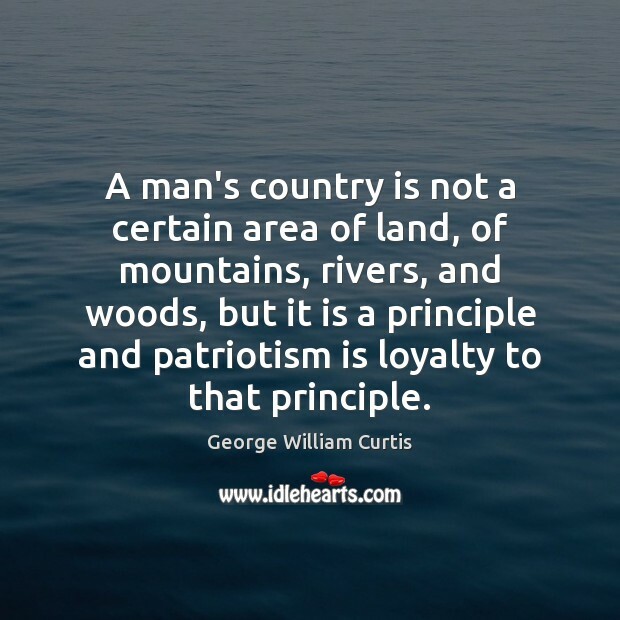 A man's country is not a certain area of land, of mountains, rivers, and woods, but it is a principle and patriotism is loyalty to that principle. 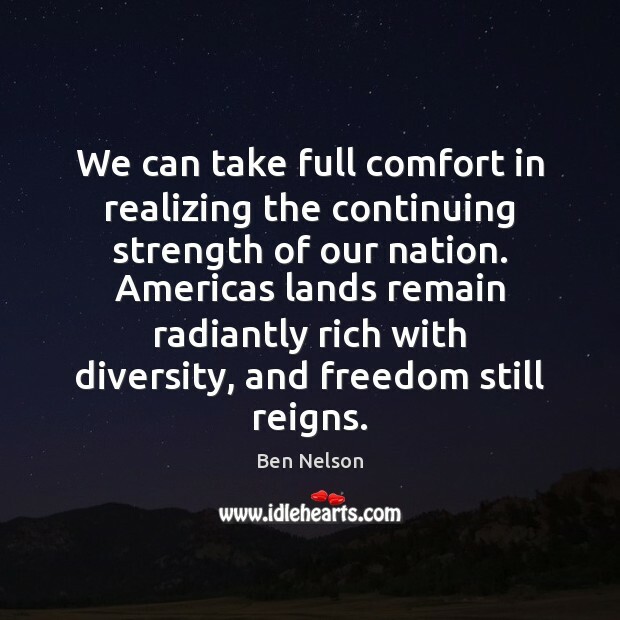 We can take full comfort in realizing the continuing strength of our nation. Americas lands remain radiantly rich with diversity, and freedom still reigns. We know our lands have now become more valuable. 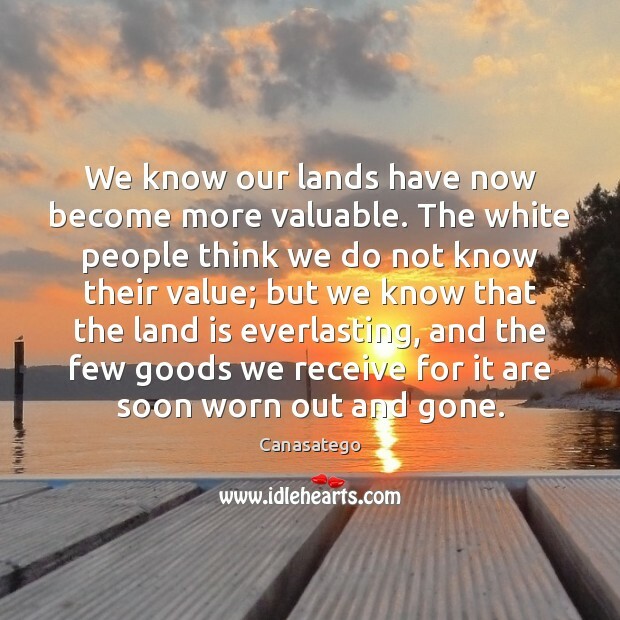 The white people think we do not know their value; but we know that the land is everlasting, and the few goods we receive for it are soon worn out and gone. 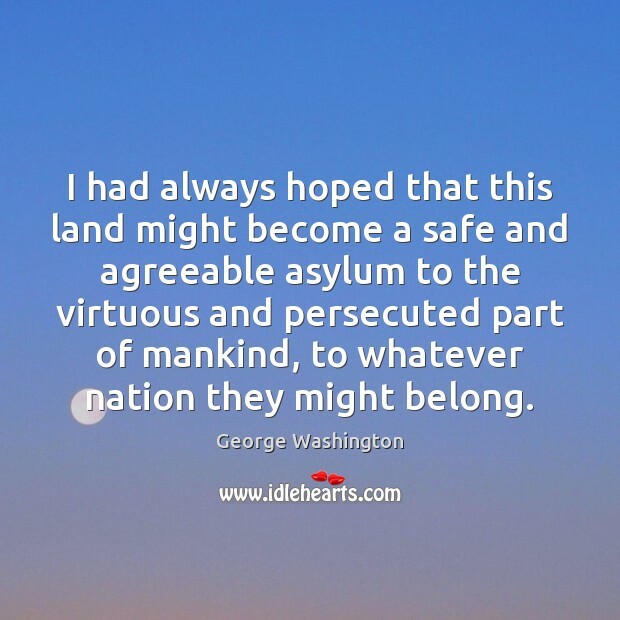 I had always hoped that this land might become a safe and agreeable asylum to the virtuous and persecuted part of mankind, to whatever nation they might belong. God bless America, land that I love.